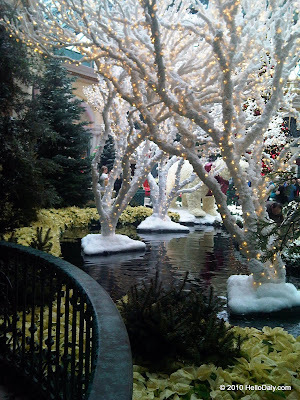 One of the things I enjoy doing during the holidays is spending time with family walking through festive displays and having lunch together (well, I always love spending time with family - not just during the holidays). 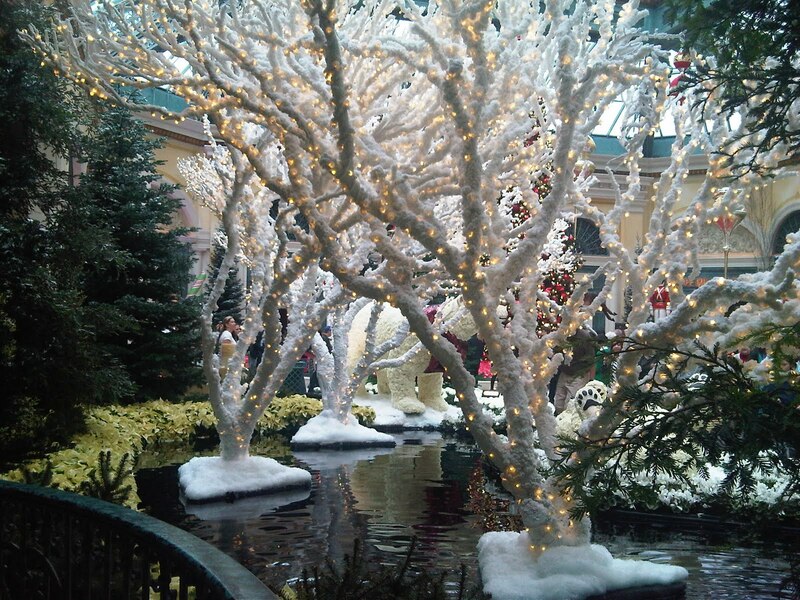 The Bellagio Conservatory & Botanical Gardens is a usual stop for the four of us (me, John, and his parents since the rest of our family live out of town or are overseas). 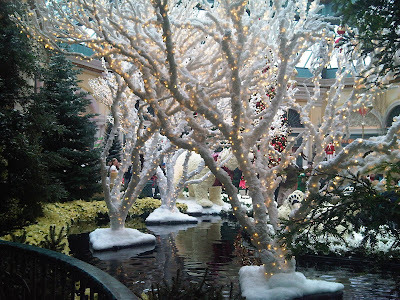 I could not tell you which part of the display was my favorite ... the beautiful pond with the snow capped trees or the polar bears made of roses playing nearby, the humongous ornaments or the rocking horse, Santa and reindeer climbing in to the sky, the train weaving through poinsettias, or the penguins staying cool around the igloos. 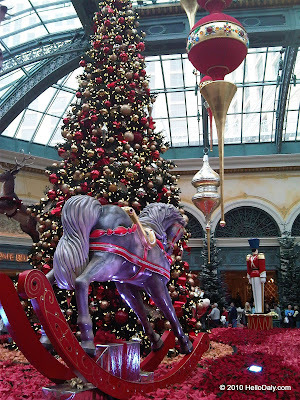 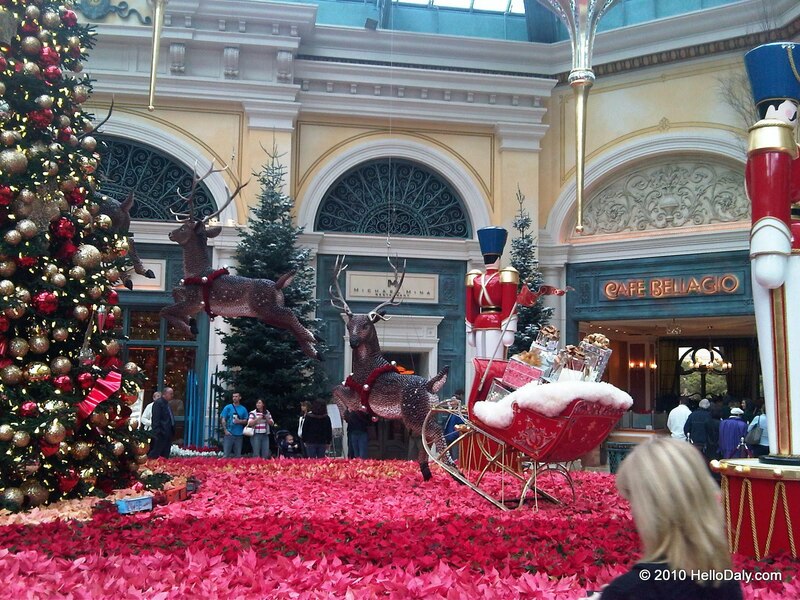 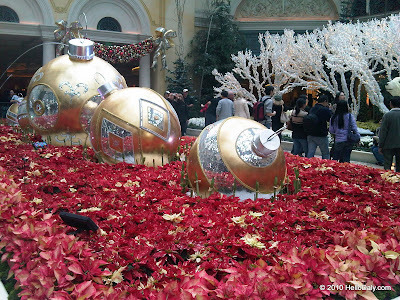 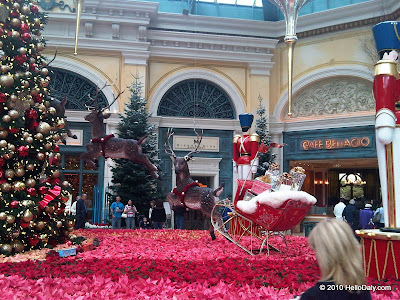 I took some photos here but Bellagio has photos of the displays on their site -- better than I can get with my Blackberry. Great photos and a fun day! Thanks for sharing.